Pro-independence parties and civil society groups have formed a common political platform ahead of the regional elections in Catalonia on 27 September. If the separatist bloc wins a majority in the Catalan Parliament, it will proclaim independence from Spain within six to eight months. 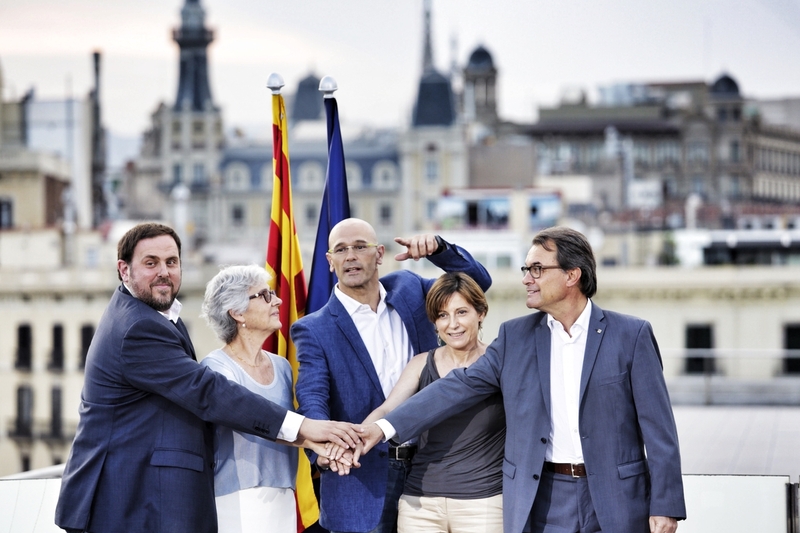 ‘Together for Yes’ Monday (20 July) formally presented its members and plans for Catalonia should they win a majority in the next regional election. Former green MEP Raül Romeva (2004-2014) will head the election list. Catalan President Artur Mas from the liberal nationalist CDC party, and the opposition leader from the Republican Left, Oriol Junqueras, will also take part alongside independence activists from Catalan civil society. Pep Guardiola, who formerly coached FC Barcelona and is now coaching Bayern Munich, will be the final name on the 135-people list in the pro-independence bloc although he says he won’t enter parliament. The pro-independence group intends to use the regional election as a semi-referendum. A non-binding independence referendum was held in Catalonia in November last year. It saw the Yes camp win 80 percent of the vote but with a participation rate of 38 percent According to the separatist bloc’s pact: “If the citizens of Catalonia choose (…) a majority of parliamentarians in favour of independence, we will start a process of creating an independent state”. This would include establishing state structure and a Catalan constitution, drafted with citizen participation. After the constitution was put to a vote, there would then be a formal declaration of independence. New elections would then be held within18 months. The separist bloc pledges to forge ahead with independence even if blocked by Madrid. “Should the Spanish state, through political and/or judicial decisions, decide to block Catalonia’s self-government, the (Catalan) government and parliament will proceed to the proclamation of independence” and “disconnect” from Spain, says the Together for Yes manifesto. Madrid is maintaining its traditional hardline stance on the issue. Spanish centre-right Prime Minister Mariano Rajoy said last week that “there will be no Catalan independence”. Recently, the Barcelona-based La Vanguardia newspaper predicted that a unified list of the pro-separatist parties would win around 70 seats in the 135-seat parliament.